Concealer in a lipstick case? I think it’s a genius innovation. Jane Iredale’s two-in-one concealer is charged with bacteria-zapping tea tree and inflammation-reducing lavender oils on one end, and a blemish-covering concealer on the other. 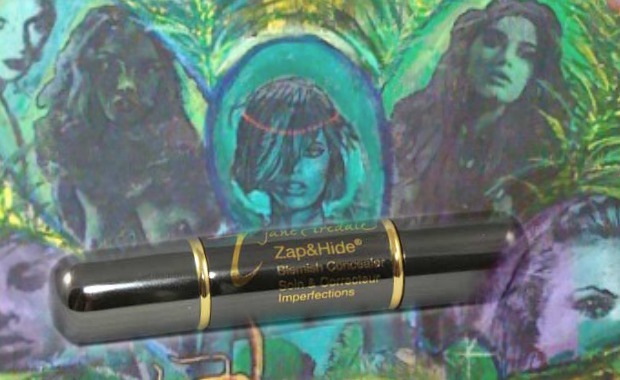 Once applied, the clear, zit-zapping side of the stick serves as a great primer for concealer, though its acne-fighting power isn’t as strong as I would have hoped. (Two weeks of everyday use didn’t do much to erase my acne). On its other end of the stick, the concealer formula blends smoothly into the skin. And despite coming in just three shades (light, medium and dark), it matches my olive complexion well.